Brenna Engel on her first day at the London bureau, which started off with transcribing interviews for Nahlah Ayed. 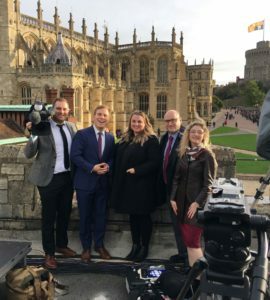 From a royal wedding to an errant whale in the Thames, it was an action-packed autumn for Brenna Engel, who nabbed a post-graduate internship with CBC’s London UK bureau in September and October. ‘It was something new every day,’ said Engel, whose first day involved transcribing interviews for legendary CBC foreign correspondent Nahlah Ayed. The next six weeks where a whirlwind of chase-producing stories and assisting shoots on a wide range of topics. 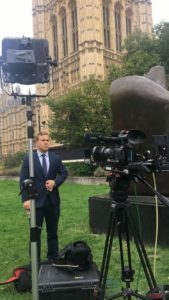 ‘There was the Tommy Robinson trial, the Grenfell Tower cookbook release outside Kengsington Palace, a Conservative Party address in Birmingham, Benny the Beluga swimming up the River Thames in Gravesend and Princess Eugenie and Jack Brooksbank’s wedding at Windsor Castle,’ said Engel. She also had an opportunity to work on her own story, about a gallery exhibit on war brides, which was published on CBC’s website. The bureau takes an intern every six weeks, chosen through a competitive application process. 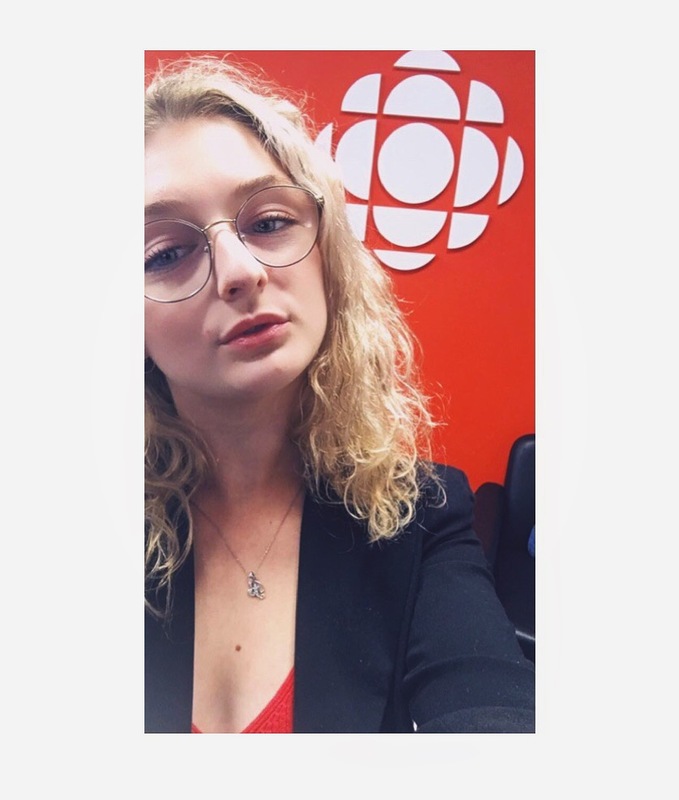 Engel, who graduated from the U of R Journalism School in May 2018, is the first intern from Saskatchewan. Brenna Engel captured many moments while in the UK. Here are a few. 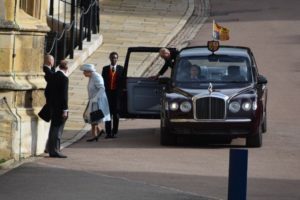 It was a windy and eventful day at Windsor Castle, Engel helped cover a royal wedding on her last day of work. (Left to right: Jared Thomas, Thomas Daigle, Lily Martin, Iain MacDonald and Brenna Engel).